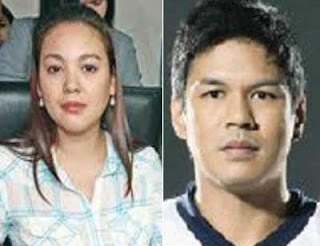 Actress Claudine Barretto filed a temporary protection order against actor Raymart Santiago at the Marikina Regional Trial Court on Monday, July 29, 2013. Atty. Ferdinand Topacio is Barretto's counsel. He added that Claudine decision was very painful for her and she only wants herself and her children to be protected against Raymart. Claudine said to ABS-CBN News, "I am not ready to talk....I just want to be protected. I just want my children to be protected." Barretto and Atty. Topacio are hoping to get the temporary protection order from Marikina Regional Trial Court. And Claudine give thanks to her supporters who continuesly praying for her and her family. She said, "Maraming maraming salamat sa lahat ng mga sumusuporta at nagdadasal. Sana continue to pray for our family." Comments or suggestions about "Claudine filed TPO against Raymart | Claudine vs. Raymart" is important to us, you may share it by using the comment box below.